At the all-member meeting on Friday, July 29, 2016, we handed out a front-and-back page handout (pdf) describing the design elements and a brief summary of the financial impacts on members. General approach. The Board is taking a conservative approach to financing the modernization, meaning the financing numbers should allow us to comfortably pay our loan off within 10 years, budget for unexpected significant maintenance costs that arise and pay operating expenses. Costs. The total price for all the elements would be $888,000. This price assumes we build all the elements. * These prices assume we build all the elements. If we built some but not all elements, costs for each would increase 10-20 percent. Paying for it. Funds to pay for the modernization and address maintenance needs as they arise will include come from 3 sources: cash reserves, a special assessment (one-time fee charged to members) and a 10-year loan to be paid back through an increase in annual member. Cash Reserves. The pool is healthy from a financial standpoint. We have about $300,000 cash on hand. We will keep $100,000 in reserve to pay for unexpected expenses (not included in the annual budget), leaving $200,00 in cash to put toward construction. The current annual revenues cover the annual operating expenses and leave funds to add to reserves annually to cover additional significant maintenance expenses. Special Assessment. Our goal would be to raise $200,000 in a special assessment. The Board will finalize the amounts based on member input in the survey and the final design. Option 1: Full members — $500. These are simply illustrative. These amounts may change, but not significantly. Before a shovel hits the dirt we will finalize these amounts. Once the survey is completed, the Board will finalize the construction plan and financing package, including any amount for the special assessment and any increase in dues. Annual Dues – We would keep your dues increase to $200 or less. The Board looked at two options for expanding the main pool: adding a beach entry or adding 16 feet to the hill side of the pool. The members chose to add 16 feet or the equivalent of two lap lanes to the wading area side of the pool. The wading area would be reconfigured to reduce the amount of grass loss. Approximately 1300 square feet of grass area will be lost. Total cost $314,000. The current baby pool would be demolished and reconfigured into a rectangle with a zero depth (beach) entry. The pool will be the same approximate size as the existing pool and located in the same general area. The pool will include a water spray feature similar to the children’s fountain in Silver Spring. The mechanical equipment will be relocated near the shed by the back gate. Approximately 200 square feet of grass area will be lost. Total cost $174,000. The individuals responsible for social events and families wanting to cook dinner at the pool have been requesting a food preparation area. The existing eating area is an ideal location for a food preparation area due to its proximity to potable water and sewer. The food preparation area would include 20 feet of counter space with a large double sink, an under counter refrigerator, and a durable counter tops. Total cost $48,000. Pavilion A would be located near the main pool pump house between the pool and the WSSC property. Pavilion A would be approximately 700 square feet with six columns similar to the ones on the bathhouse and an “A” frame roof. The pavilion would have open sides with lights and a fan. Tables would be set up in the new pavilion. Just to the right of the pavilion would be a deck structure with a gas grill and counter space. Approximately 900 square feet of grass would be lost but existing tables would be set up in the space. Total cost $200,000. Pavilion B would be 500 square feet and located between the pool and the Purple Line with four posts and an “A” frame roof with lights and a fan. No grills or counter tops would be included. Approximately 500 square feet of grass would be lost but existing tables would be set up in the space. Total cost $132,000. 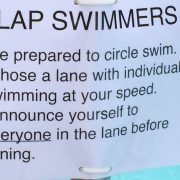 The Board has received an increasing number of complaints concerning the lap lanes. The current policy is to have three lap lanes until 2:00-3:00 p.m., depending on pool usage, during the week. On weekends, three lap lanes will be available until noon with only two after. 3) be prepared to circle swim. 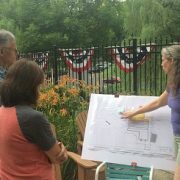 Thank you to everyone who stopped by and heard the plans we are developing for pool modernization over the weekend and at a member meeting on Tuesday evening attended by 25-35 people, and to the over 100 Full Member households who responded to the survey. At this writing, with 102 responses, 77.9% of responding households favor expanding the main pool by 16 feet (the equivalent of two lap lanes) over creating a walk-in, “beach entry” to the shallow play area in the main pool. At this point in the design process, the Board needs to tell the design company, Elite Pools, which option for altering the main pool we prefer. They need to work up a 3D rendering and start planning the engineering of any changes we choose to make to the main pool. Making this decision now keeps us on track for having this construction done after we close the pool this fall if we so choose. That is why we are asking people to give input solely on the question of beach entry vs. expansion of the main pool area. We will now gather information to present to you to make an informed decision about the construction. We will open a membership vote at the end of July on whether to move forward with construction and which elements people want to see built. We will present budget figures and estimated costs for each household at that time. 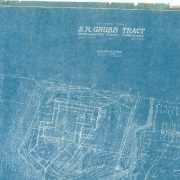 Other elements to the overall design plan could include: 1. Demolish the existing baby pool and rebuilding it in a square shape with a beach entry, bubblers, fountains, and other water features; 2. Adding two covered structures, including grilling with countertop space and under-counter refrigeration adjacent to one covered structure; and 3. Constructing an outdoor grilling and food prep space in the “party area,” which could include something like 25’ of countertop space, sinks and appliances (TBD). And we have heard a strong sentiment to do away with the small stones (which serve as necessary drainage). We’re exploring that.